Yearned for, yes. But swoon? It takes a rare figure - and a rare subject matter - to do that. Something Enterbay's Bruce Lee piece does with ease. 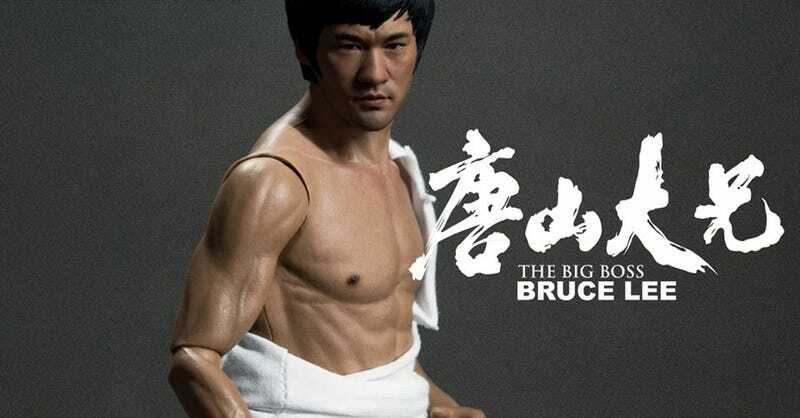 Designed to commemorate what would have been his 73rd birthday, the figure comes with some clothes, spare hands and two super expressive faces. Oh, and the box apparently also does his little "scream" every time you open it. Which is awesome.